And how could it change the way we charge our phones? Also known as wireless charging, inductive charging is a method of charging the battery in portable electrical devices without having to plug the device directly into a power socket. In most cases, smartphones that are capable of being charged wirelessly need to be placed on a small, flat charging pad or dock. An electrical charge passes safely from the pad to the phone, across the tiny gap between them. The charging pad still needs to be plugged into the mains electrical supply, but the phone sits loosely on top. There are several smartphones that support the use of inductive charging straight out of the box, including the Nokia Lumia 920 and the LG Nexus 4. Other phones, such as the Samsung Galaxy S3 and iPhone 4s, need to have adaptors attached before they can be charged in this way. However, the rumor mill is chattering furiously that iPhone 8 might be able to charge across the room from its power source so adaptors might not be necessary for the future. The science behind inductive charging has been understood for a long time and was first discovered by the inventor and electrical engineer Nikola Tesla. There are likely to be examples of this type of wireless charging in many homes already, as inductive charging has been used in rechargeable toothbrushes since the early 1990s. 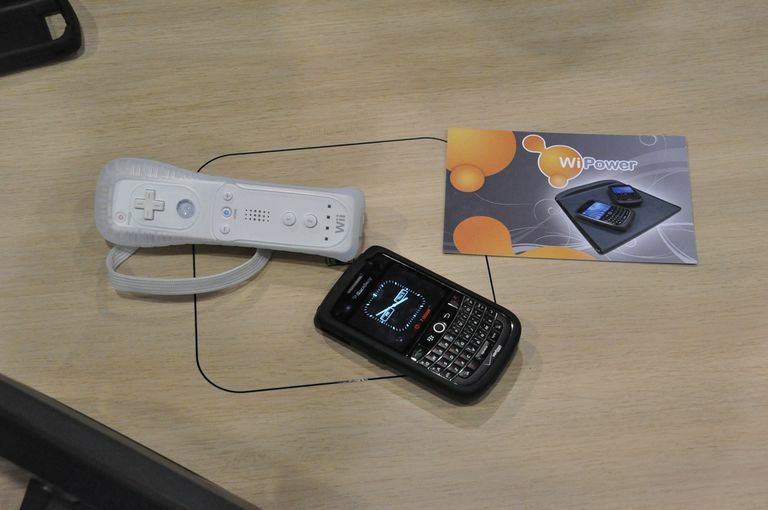 Smartphones that can be charged wirelessly use exactly the same method. Both the phone and the charging pad contain induction coils. In their most basic form, induction coils are simply a core of iron wrapped in copper wire. When the phone or other portable device is placed on the wireless charging pad, the proximity of the coils allows an electromagnetic field to be created. This electromagnetic field allows electricity to be passed from one coil (in the charging pad) to the other (in the phone). The induction coil in the phone then uses the transferred electricity to charge the device battery. Create safe charging zones almost anywhere. The technology could easily be used to provide safe charging points in public places. As inductive charging is standardized, restaurants and cafés could incorporate charging zones into tabletops and airlines could have charging pads in their armrests. Less efficient than wired charging. Current inductive charging systems are not quite as efficient as charging with a cable. This means that, in general, a phone charged on a wireless charging pad will take longer to reach full charge than a phone plugged directly into an electrical socket. The difference is not huge but could be noticeable if you are charging your phone daily. Lack of a universal standard. There is also no wholly standardized inductive charging system, meaning a device capable of being wirelessly charged may not be compatible with the charging pad of another device you own. However, several large electronics manufacturers have started working with a standard called Qi (pronounced "chee"), including LG Electronics, Motorola, Nokia, HTC, Sony, and Samsung, so this will certainly become less of a problem over time. Less flexibility when charging. Electronic devices being charged wirelessly have to be left in one place or the charging process will be interrupted (the induction coils need to be extremely close together for the system to work). A phone being charged using the traditional charging cable can still be picked up and used, even if only within a meter or so of the plug socket. Is Inductive Charging the Future? The adoption of Micro USB as an almost universal way of charging smartphones and other portable electronic devices means that the problem of having to own multiple charging cables is not as big as it once was. That is not to say that inductive charging will not become a common option to consider when choosing a new phone. Many of the large smartphone manufacturers produce or plan to produce handsets that are Qi compatible, albeit as a secondary charging option alongside a charging cable. As the technology is improved, lack of efficiency and slower charge times are also going to be less of a problem. Wireless charging for your smartphone is here to stay, just don't expect it to completely replace wired charging anytime soon. If you would like to give wireless charging a try, there are several Qi-compatible charging mats available. Energizer, the battery and flashlight manufacturer, offers a range of charging mats, along with adaptors to fit several popular smartphones. A multi-device inductive charging mat from Energizer costs around $65, whilst adaptors for iPhone,​ ​BlackBerry, and Android phones start from less than $25.